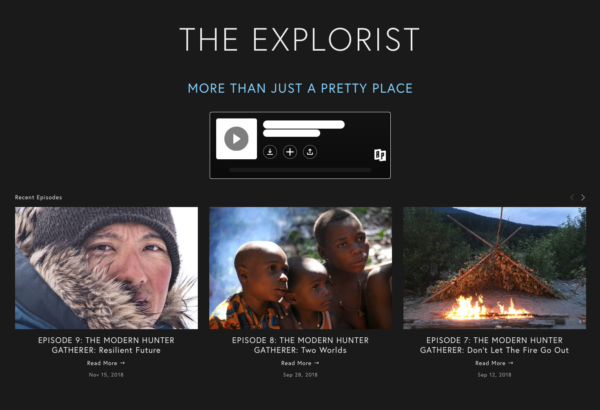 Recently I spoke with Ted Alvarez, host of the Explorist podcast, a well-crafted podcast on the interaction with nature and people. The first season of the podcast is all about hunting and gathering in modern times, from looking at non-natives those who are involved primitive skills, to subsistence indigenous communities. My interview closes out the season with hair-raising stories from the sea ice, and major themes in my work as an indigenous person from an extant hunter-gatherer culture. It’s one of my favorite interviews. You can find the podcast page here, or find it through Apple Podcasts. Annie, live links to the podcast if you go to the blog page I link to here. A form of ethnography… nice interview. Miss you at living skills workshop events, but good to see where your life is taking you. Zen hugs your way.